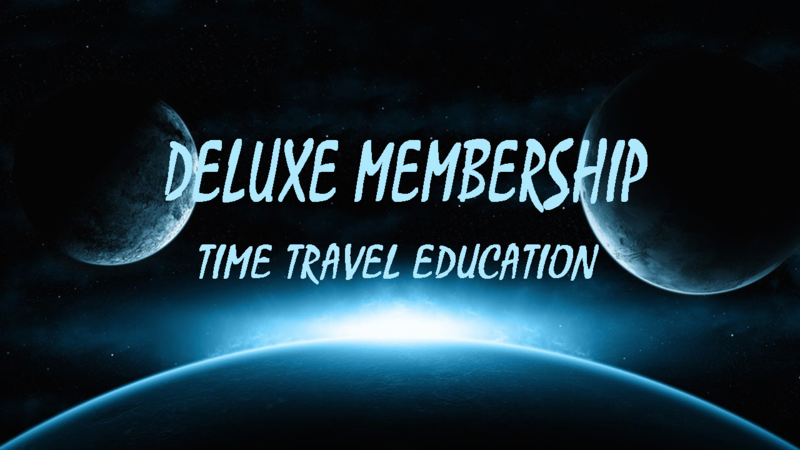 By signing up as a DELUXE MEMBER (our BEST VALUE) for TIME TRAVEL EDUCATION, you can look forward to learning unique information from a perspective that you will not find elsewhere. Specifically, you will be getting an inside look at Peter Moon's research and the fascinating characters he has dealt with in the last three decades. Your support is appreciated and necessary to enable further research and adventures. You are also free to contact Peter Moon at petermoon333@gmail.com to share your input. Becoming a DELUXE MEMBER (paid subscribership) will give you access to videos and podcasts, including Peter Moon's video series "Time Travel Theory Explained" including new videos on the Time Reactor (#8 includes the actual patent filed for the Time Reactor and #9 includes an explanarion of how the Time Reactor works). Also featured are two books currently in progess that Peter Moon is working on: (Stardust — An Initiation Into Time and L. Ron Hubbard — The Tao of Insanity). You are welcome to share your input and comment as the books are completed. You also will get full access to ALL BACK ISSUES of the Montauk Pulse newsletter (currently over 550 pages), plus you will have access to the quarterly newsletter as each is written. Plus more. The material accessed on this website is subject to copyright laws and it is agreed by the user that they will not use or copy the information without permission of the copyright holder or their authorized agent. It is understood that you have thirty days from signup to ask for a full refund.